According to a recent Gallup poll, 43% of American credit-card holders say they always pay off the full balance on their cards each month and another 17% say they usually pay their full balances each month. On the other hand, 25% acknowledge that they usually leave a balance and 12% say they usually pay only the minimum amount due each month (1% pay less than the minimum). This is in stark contrast to previous years. In April 2001, 41% of credit-card owners said they usually left a credit-card balance at the end of the month, or made the minimum monthly payment or less. This percentage increased to a high of 45% in April 2004 before declining to 40% in 2006 and to 38% in 2008. Gallup’s survey of credit-card use also shows that American credit-card holders have about four credit cards on average. 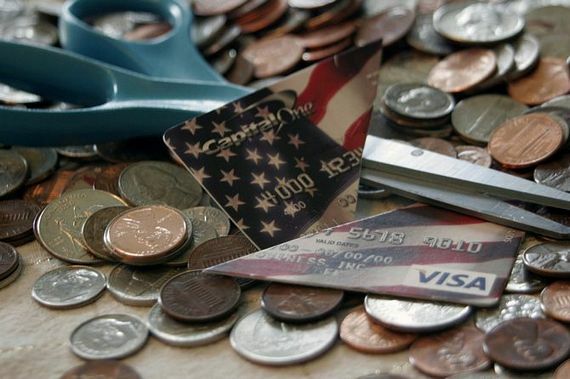 Many Americans also maintain fairly high credit-card balances. Overall, credit-card holders reported an average balance of $3,848 in April 2008 (though the median, or middle value, is just $200). More importantly, 30% say they have a balance of more than $2,000, with 19% reporting a balance of more than $5,000 and 9% more than $10,000. In full, every month. I’ve never carried a balance, ever. I was stupid in college and basically used my credit card in lieu of working more with the thought that I’d just pay it off in full once I got a job. I ended up starting my own business instead, so the balance just sat there. I’ve always been smart enough to keep it on a 0% APR card, but it’s always been something I’m less than proud of. What I *am* proud of is that my CC debt will be paid off completely in the fall, and then I’ll absolutely be one of the people who pay it off in full every month if I choose to use them at all. As it sits right now I haven’t used a CC in over 2 years, but have simply been paying big chunks each month. The CC companies don’t really like this so they’ve been upping my credit limit so much that I can now buy a nice, new car with my CC, not that I’d ever do that! I never charge more in a month than I have in the bank to pay in full when the bill arrives. I keep careful track of the billing cutoff date so that I don’t accidentally spend too much. Credit cards are a trap and now that so many more places accept them than in the past, it’s too easy to become ensnared. I mean, people are buying food and paying the rent with them now. It’s insane to live your life on credit. Sooner or later it catches up to you and you end up finding yourself doing things like card kiting to keep from actually having to make a payment. Keep one card for a big emergency that you can’t pay for with cash and charge a few little things each month to build credit, but don’t become dependent on them. Too much reliance on credit and not enough on savings is part of what is bringing us to ruin in this economic crisis.